Being able to hold things before we buy them makes us more satisfied with our purchases. In 2011, many shoppers opted to avoid the frenetic crowds and do their holiday shopping from the comfort of their computer. Sales at online retailers gained by more than 15%, making it the biggest season ever. But people are also returning those purchases at record rates, up 8% from last year. What went wrong? Is the lingering shadow of the global financial crisis making it harder to accept extravagant indulgences? 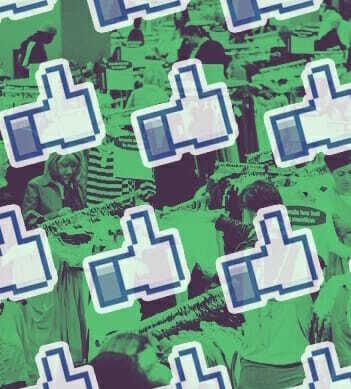 Or that people shop more impulsively — and therefore make bad decisions — when online? Both arguments are plausible. However there is a third factor: a question of touch. We can love the look but, in an online environment, we cannot feel the quality of a texture, the shape of the fit, the fall of a fold or, for that matter, the weight of an earring. And physically interacting with an object makes you more committed to your purchase. When my most recent book Brandwashed was released, I teamed up with a local Barnes & Noble to conduct an experiment about the differences between the online and offline shopping experiment. I carefully instructed a group of volunteers to promote my book in two different ways. The first was a fairly hands-off approach. Whenever a customer would inquire about my book, the B&N volunteer would take them over to the shelf and point to it. Out of 20 such requests, six customers proceeded with the purchase. The second option also involved going over to the shelf but, this time, removing the book and then subtly holding onto it for just an extra moment before placing it in the customer’s hands. Of the 20 people who were handed the book, 13 ended up buying it. Just physically passing the book showed a big difference in sales. Why? We feel something akin to a sense of ownership when we hold things in our hand. That’s why we establish or reestablish connection by greeting strangers and friends with a handshake. In this case, having to then let go of the book after holding it might generate a subtle sense of loss, and motivate us to make the purchase even more. A recent study conducted by Bangor University together with the United Kingdom’s Royal Mail service also revealed the power of touch, in this case when it came to snail mail. A deeper and longer-lasting impression of a message was formed when delivered in a letter, as opposed to receiving the same message online. FMRIs showed that, on touching the paper, the emotional center of the brain was activated, thus forming a stronger bond. The study also indicated that once touch becomes part of the process, it could translate into a sense of possession. In other words, we simply feel more committed to possess and thus buy an item when we’ve first touched it. This sense of ownership is simply not part of the equation in the online shopping experience. As the rituals of purchase in the lead-up to Christmas change, not only do we give less thought to the type of gifts we buy for our loved ones but, through our own digital wish lists, we increasingly control what they buy for us. The reality, however, is that no matter how convinced we all are that digital is the way to go, finding real satisfaction will probably take more than a few simple clicks.